The Lille striker arouses the passions of half Europe and, according to France Football, the Italian club would have already made a proposal for the Ivorian. Nicolas Pépé will not remain in Lille. It's no secret, until Gerard López, president of the club, recognized him at the end of Les Dogues' landslide against PSG this weekend: "The departure of Nicolas Pépé is safe" . A few days ago it sounded for the Parisians, but according to France Football, is the Inter Milan the main pretender of the Ivorian attacker. The French magazine has on its website that the Nerazzurri had put on the table of Lille an offer of 60 million euros to start the bid for its star. De insurance will not be the only proposal with which the lilloise box will count. Diverse media have pointed to a strong interest of Bayern Munich in counting on the Ivory Coast international. 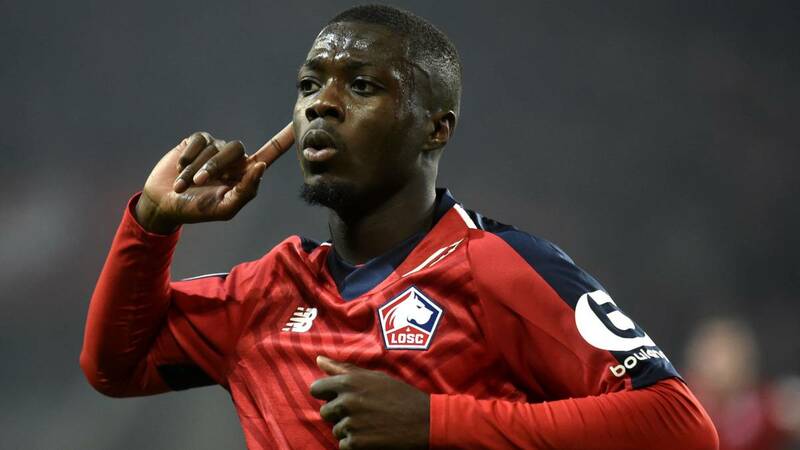 They also point to English clubs such as Arsenal, Liverpool or Manchester United among those interested in a Pépé that is emerging in its second season in the team of the French capital: no has given more goal passes than the 13 of the Ivorian and only Mbappé exceeds the 19 goals from Lille striker.